This coupon was last used 6d ago and is currently rated Somewhat Likely to work. Expires in 4wk . Last validated 1mo ago . Used 1 time. Jose This deal works as described. Go to the web site, add your item to cart, proceed to checkout, enter promo code <MUT15> and get 15% off your order at MUTStore. Bryce Gallatin I'm re-activating this expired deal. 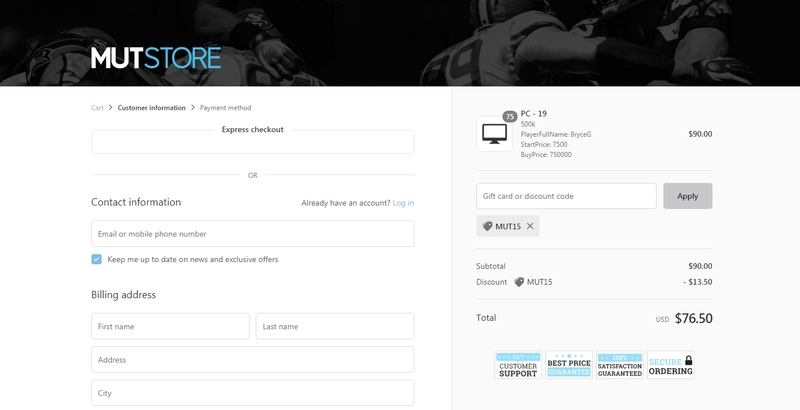 It works as described, Simply enter the code MUT15 at the time of Checkout and enjoy the Discount. Some exclusions may apply. Roxana D Simply enter the code during the payment process to apply this discount. There may be some exclusions that apply to this deal.